I took a very quick trip south from New York to Mexico’s Yucatan Peninsula in January, hot on the heels of Venkat Sankar who was there just after Christmas. I won’t include much detail on the sites here as they are well covered in Venkat’s December and March 2018 reports. If you have questions just let me know. Once again, and like Venkat, I travelled with Juan Cruzado Cortes. 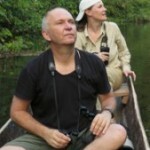 He knows the area and how to find its mammals better than anyone I suspect. In the end some car troubles made the trip even shorter than expected (just three nights) while some unseasonably cool weather may also have hurt out chances a little. But I still saw 26 species including 8 lifers. I flew into Cancun on a Saturday in late January. The airport was heaving with Americans, Canadian and Europeans chasing sunshine and cheap booze. If I was the Mexican President I’d be seriously tempted to build a wall to keep them out. Oh wait…. It was the 7th circle of hell and I was stuck there for 6 hours to see if Juan could get his truck fixed. He couldn’t so we stayed in Cancun that night, escaping at dawn the next day. 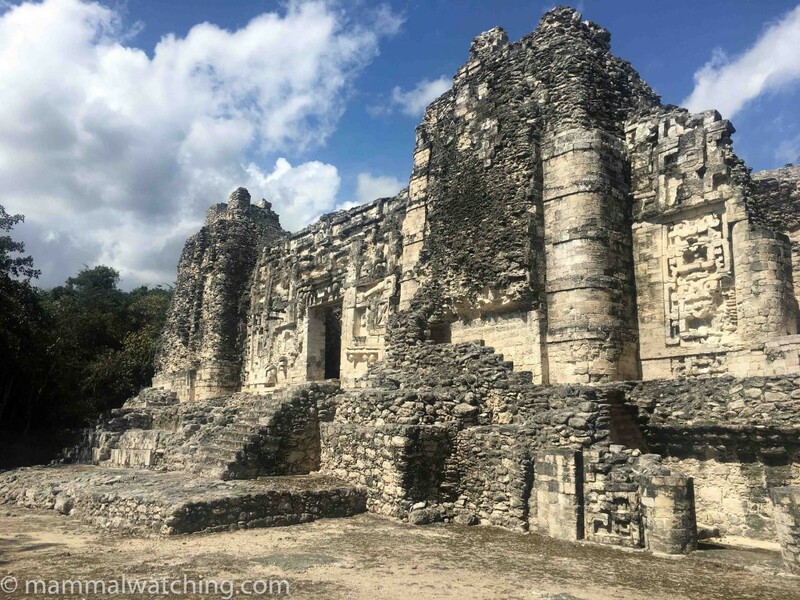 We spent Sunday night in the buffer zone of the Calakmul Reserve, a six hour drive from Cancun. Like Venkat we stayed in the safari tents at Campamento Yaax’che. It can be hotter than hell here, but it was positively chilly in late January. The locals were wearing ski jackets and I ended up sleeping under a blanket in all my clothes plus a thick hoody and was still cold. It is a lovely reserve and had Juan’s car not broken down we would have had two nights here rather than one. 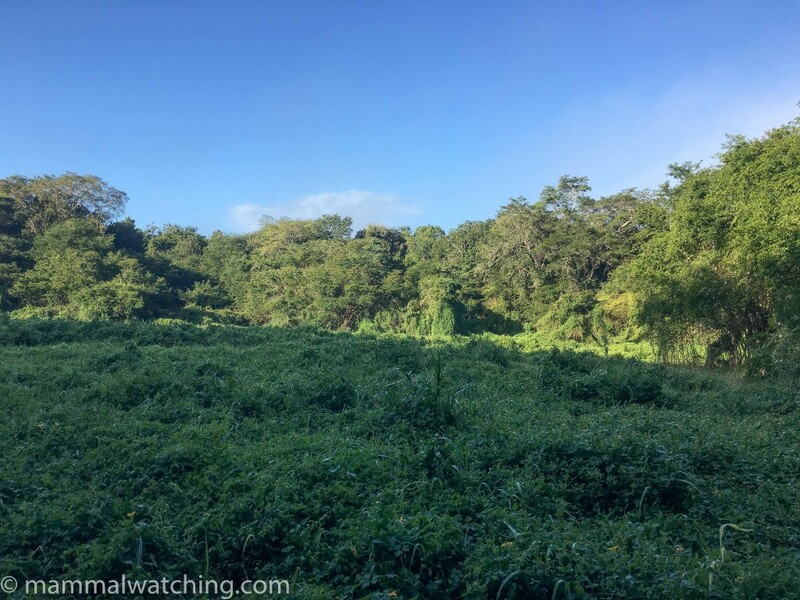 The park is probably the best place in Mexico to look for larger mammals: Venkat saw a Margay here. Jaguars and Ocelots are not uncommon and around Christmas someone posted a photo on Facebook of a pair of Greater Grisons on the road. Our first stop was the Hormiguero archaelogical site, an hour from the park. 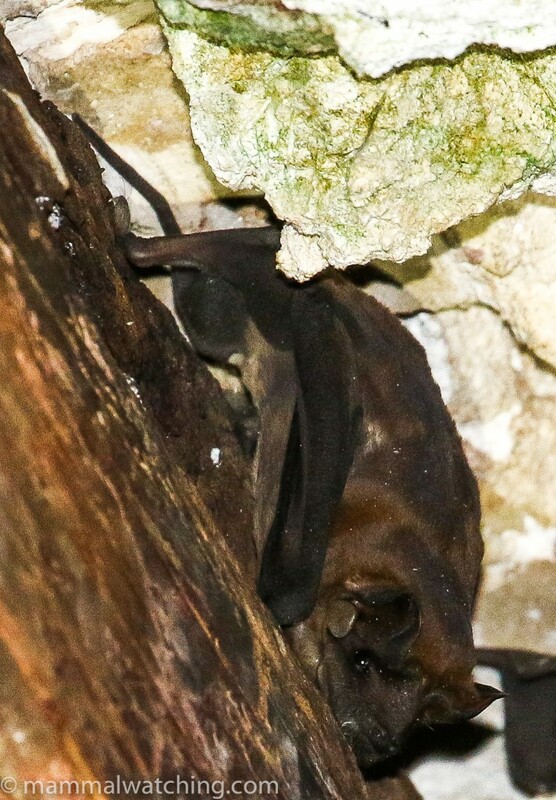 We expected to see both Cozumel Golden Bats (Mimon cozumelae) and Woolly False Vampire Bats (Chrotopterus auritus) in small chambers in the main temple. But the Mimon were not in their usual spot, and had been replaced with – perhaps eaten by – the Chrotopterus. 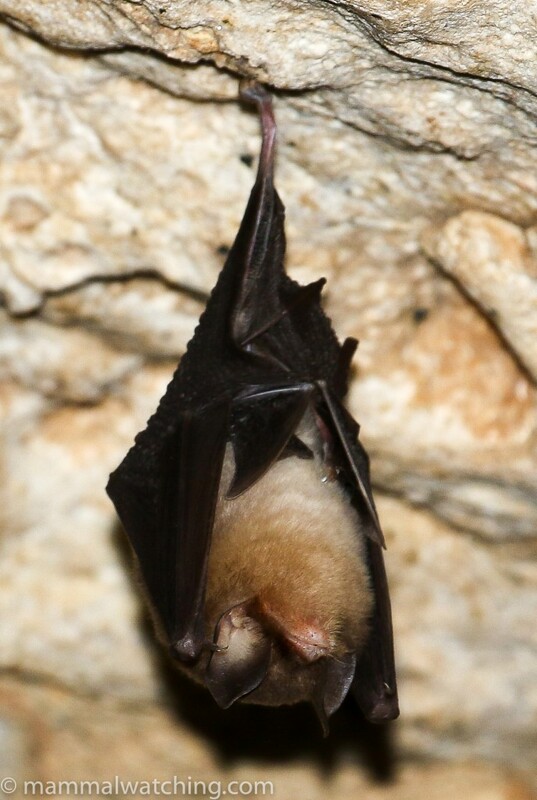 There was also a lone Greater White-lined Bat in the entrance. Disappointed we continued to the park and saw a Yucatan Squirrel running across the entrance road, and a couple of Central American Agoutis. After a brief rest we headed into the forest with a local guide to set Sherman traps along one of the walking trails in the buffer zone at about kilometre 15 on the road, and then set up two mists net near a small waterhole two kilometres further down the road. Despite the cold (it was not much more than 10C) the batting was pretty good. We caught two Ghost-faced Bats, always a good bat to see. And a couple of Great Fruit Eating Bats. 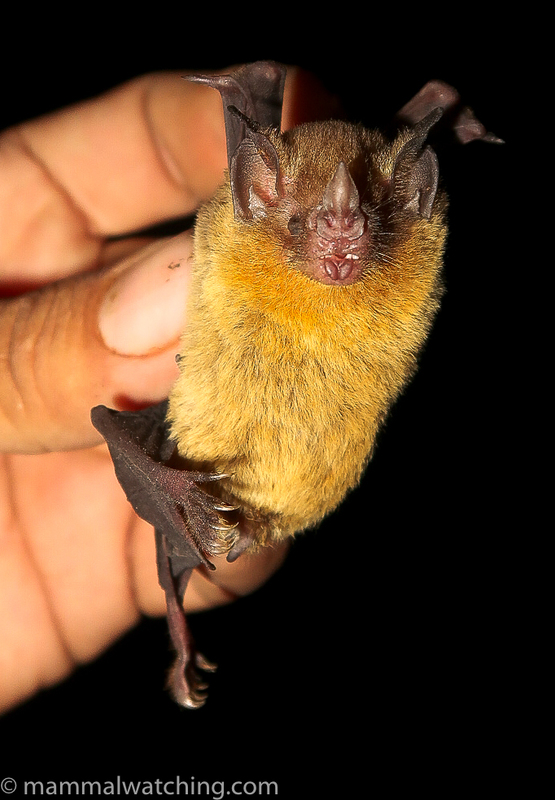 Best of all was a beautiful little Orange-throated Bat. A fairly rare species and one that Juan had never caught before, despite doing a ton of work in the region. I wandered around with my thermal scope near the nets and saw a bat repeatedly fly into a vine thicket and perch. Unfortunately whenever I shone my light in its direction it took off. I suspect this may well have been a Wrinkle-faced Bat. We walked for an hour or so in the forest. I was looking particularly for Mexican Mouse Opossums, which are supposedly quite common here. I didn’t see one. The only mammal was a Kinkajou, close to the palapa at the trail head. Back in the car we saw several Grey Foxes cross the road. The vegetation is so thick along the road there didn’t seem a great deal of point in trying to spotlight for anything that wasn’t crossing the road itself. The next morning, close to the same palapa, we had caught an attractive Big-eared Climbing Rat with a distinctively shiny tail and pure white belly. 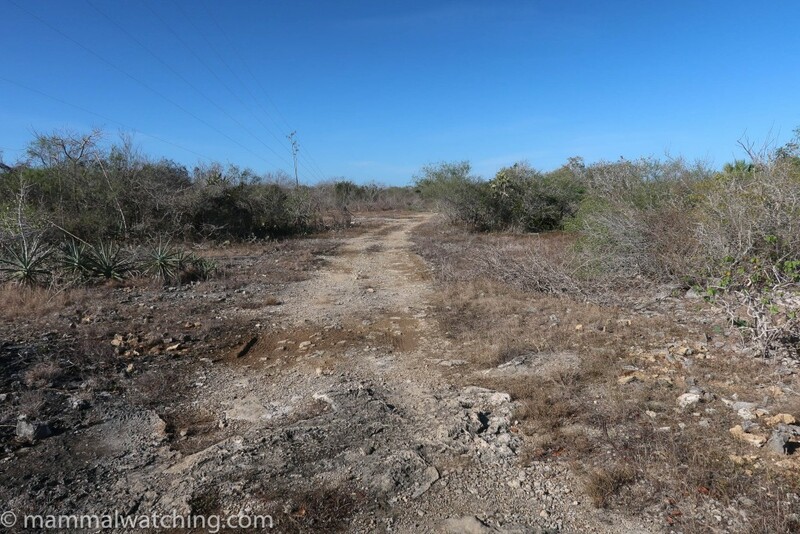 I spent about an hour wandering the well marked trail at kilometer 27, where Venkat had seen a Yucatan Brown Brocket Deer. I didn’t see one but with a bit more time suspect I might have. 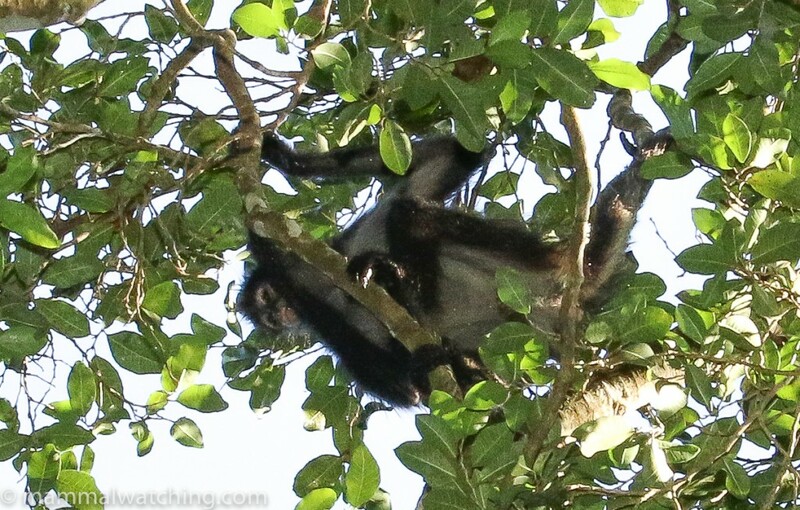 I did see another Grey Fox here and plenty of Geoffroy’s Spider Monkeys. 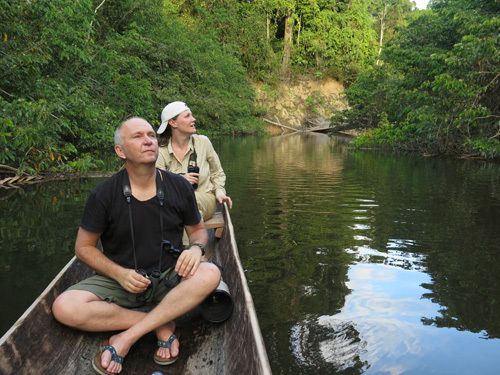 While driving along the road that morning we had a White-nosed Coati, a Deppe’s Squirrel and several Central American Agoutis. With little time to spare we drove the 5 hours to Merida after breakfast. I checked into a hotel and a half an hour later we were near Progeso setting 60 Sherman traps in the coastal scrub. From there we continued on to an abandoned house at Santa Clara to look for bats in the early evening. Both Alvarez’s and Black Mastiff Bats roost in the roof space. Juan said both are usually easy to see flying in and out of the ceiling inside the main room. But not tonight, presumably because of the cold. 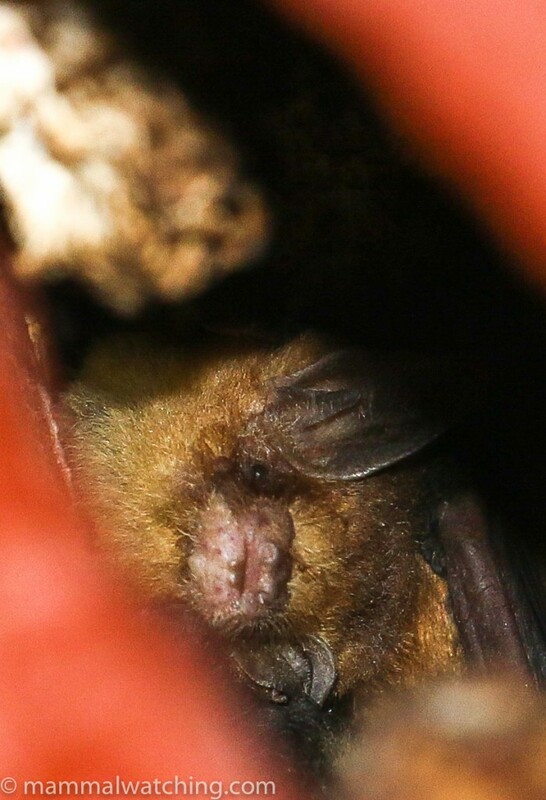 We eventually saw an Alvarez’s Mastiff Bat in one of the ceiling cracks: a big relief as this is a rather rare bat and one I didn’t have much hope of seeing elsewhere. 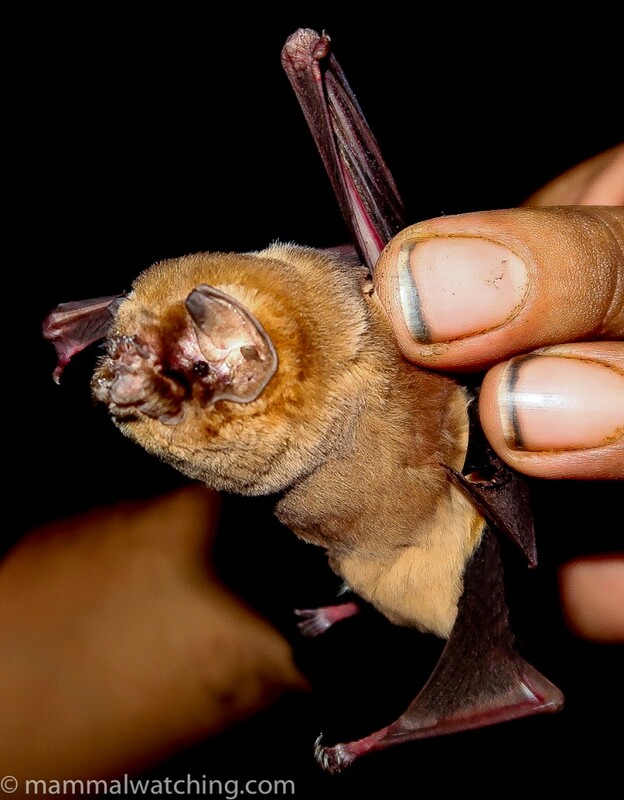 Other bats flying around were identified by Juan and his bat detector as Lesser Dog-like Bats, Davy’s Naked-backed Bats and Argentinian Brown Bats. Juan does a lot of bat work at a nearby wind farm and so his bat detector skills with the local species are doubtless excellent. I would not advise visiting this roost without a local. Two cars full of police turned up within minutes of us parking. No problems in the end, but I am glad I didn’t have to explain to them what we were up to. Back in Merida around midnight Juan swung past another empty house and we saw a Yucatan Yellow Bat peeping out from under the roof tiles in its usual spot. A second lifer for the night. 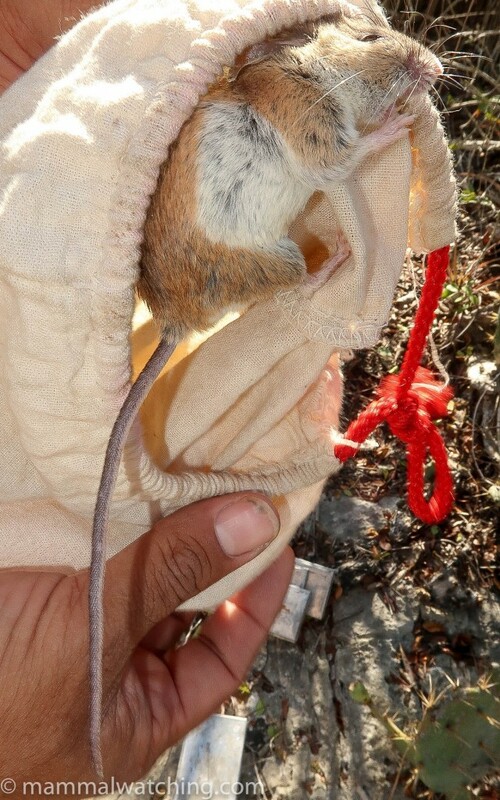 I can think of no reason on earth to visit the mosquito-ridden scrub at Progreso other than to catch a Yucantan Deer Mouse. 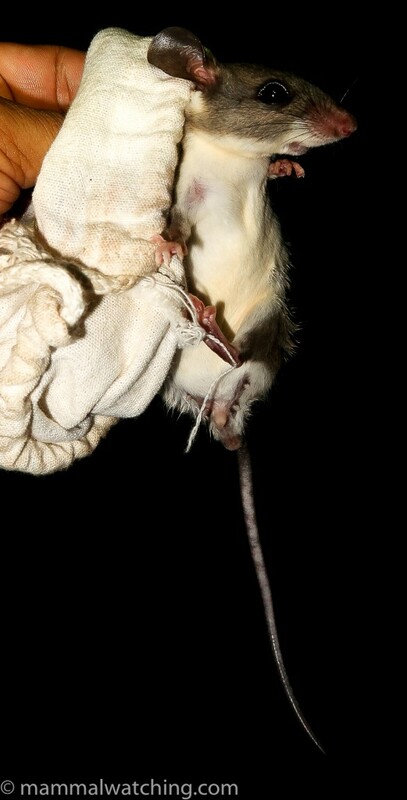 We caught several along with another Big-eared Climbing Rat. 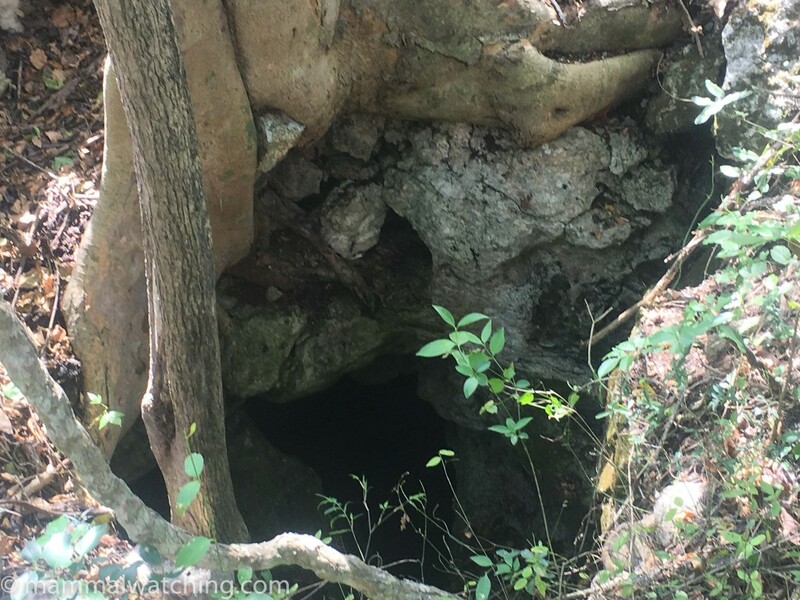 Next stop was south of Merida, and the small settlement of Dzoyaxche, where we were in search of a bat cave. 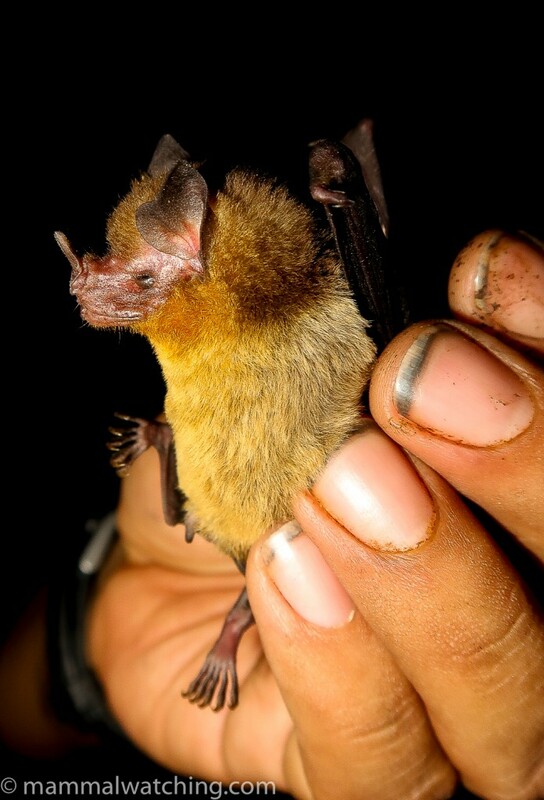 When we had missed Cozumel Golden Bats at Hormiguero, Juan contacted Cristina MacSwiney, a Mexican bat biologist. She sent us detailed information about a roost site here. After some discussions with the guides at the Reserva Cuxtal we figured out where the cave was and were inside 20 minutes later. Access was easy and there were some great bats. 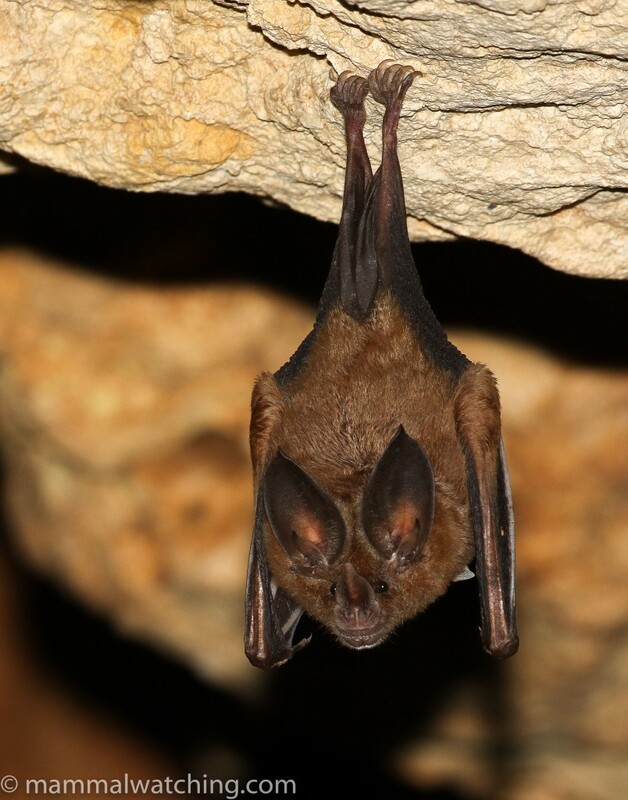 We were greeted with a few Common Vampire Bats and some Mexican Funnel-eared Bats. Deeper into the cave we saw 15 or so of the lovely Cozumel Golden Bats we had been searching for, a few Common Big-eared Bats and a single Hairy-legged Vampire Bat, another species that was high on my hit list for the trip. A very nice cave. Contact me if you want more details and I can connect you to Juan. 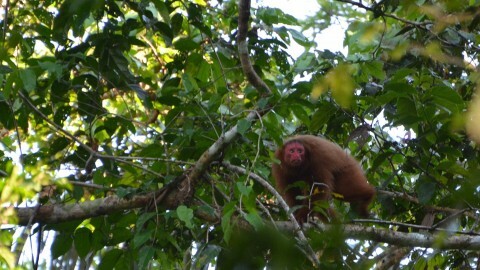 We spent our last night in the beautiful city of Valladolid and the small nature reserve at Xocen. 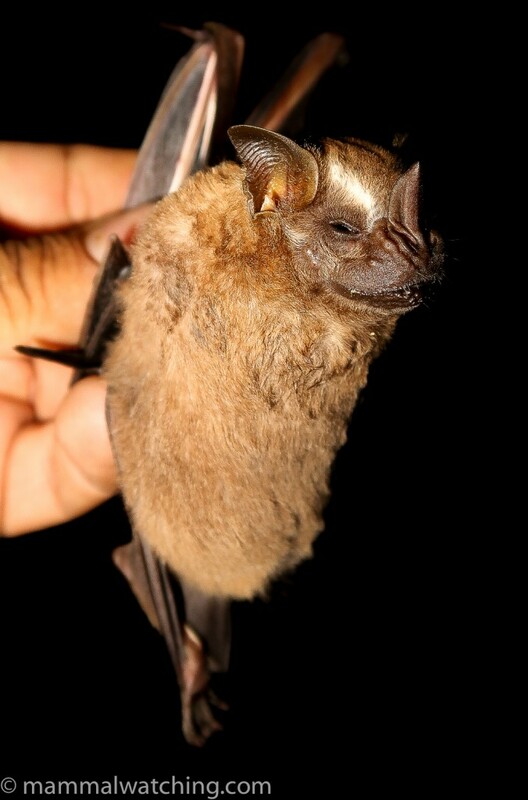 The key species for me here were the Black Mastiff Bats that we had missed at Santa Clara. Large numbers roost in at least two cenotes and were easy to see emerging around sunset. 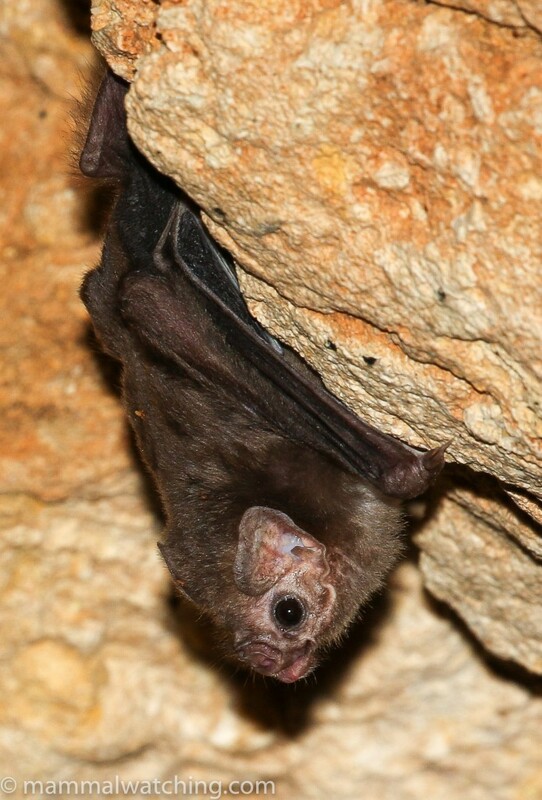 Distinctive large, black bats. Impossible for me to photograph, but I took some video of one almost taking us out and several more emerging. You will have to trust me that it was pretty cool … I guess you had to be there. We spent two hours from sunset setting 100 Sherman traps in the reserve, hoping to catch a Toltec Cotton Rat, a Gaumer’s Spiny Pocket Mouse, a Vesper Mouse or the Gaumer’s Mouse Opossum that Venkat had seen here in March. I poked around with the thermal scope but only saw a large opossum, probably a Common Opossum. There didn’t seem to have been any recent sightings of Brocket Deer or Margays in the reserve. 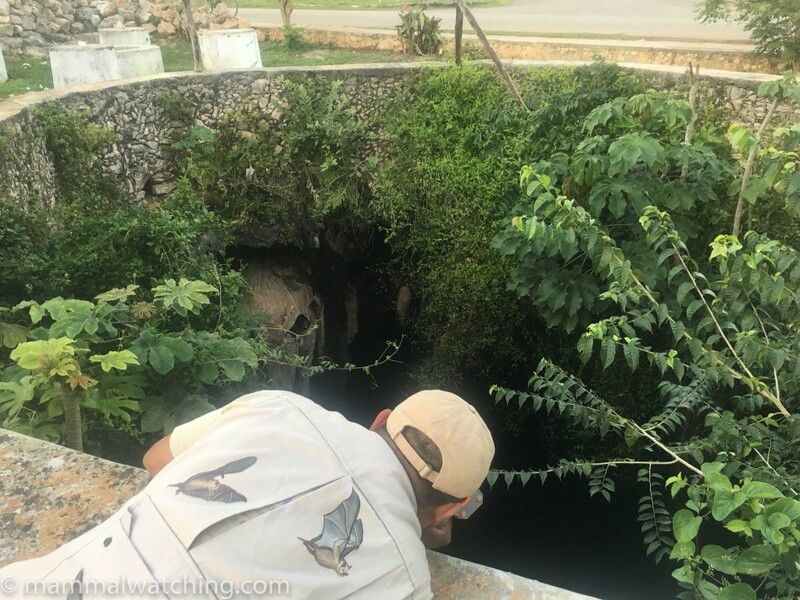 Juan registered a Southern Yellow Bat on his detector, but we couldn’t see it, though we did see distinctive Yucatan Yellow Bats, Davy’s Naked-backed Bats and Argentinian Brown Bats flying along the road. The next morning we caught a couple of Yucatan Deer Mice and a Big-eared Climbing Rat. And then it was a two hour drive back to Cancun to try to get a flight back to the arctic temperatures in the USA. 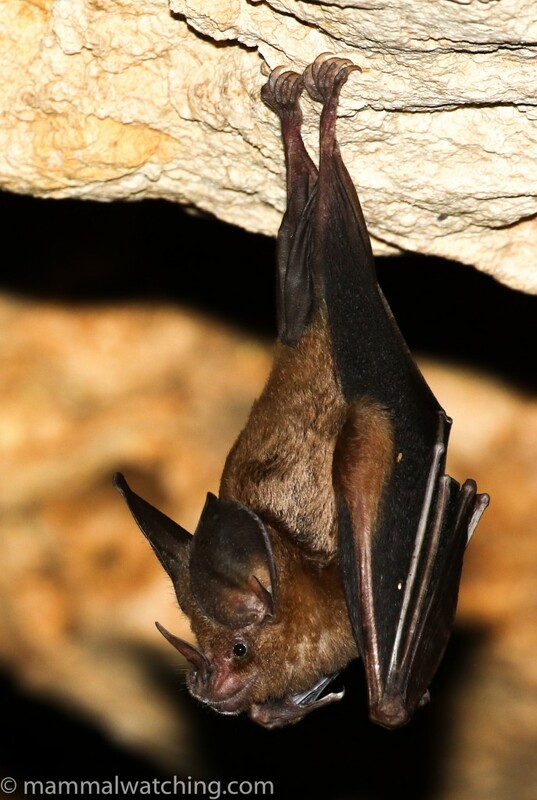 Thanks again to: Juan Cruzado for all his skill and hard work on top of many many hours driving; Ismael at Xocen; Cristina MacSwiney for help with find the Cozumel Golden Bats; and Venkat for his trip reports. I first visited this area in 1989 and – from what I can remember – once you escape the tourism around Cancun – it doesn’t seem to have changed a great deal. Certainly the people and food are as great as ever. AFAIK false vampires don’t hunt at roost sites and can peacefully share them with small species for years. 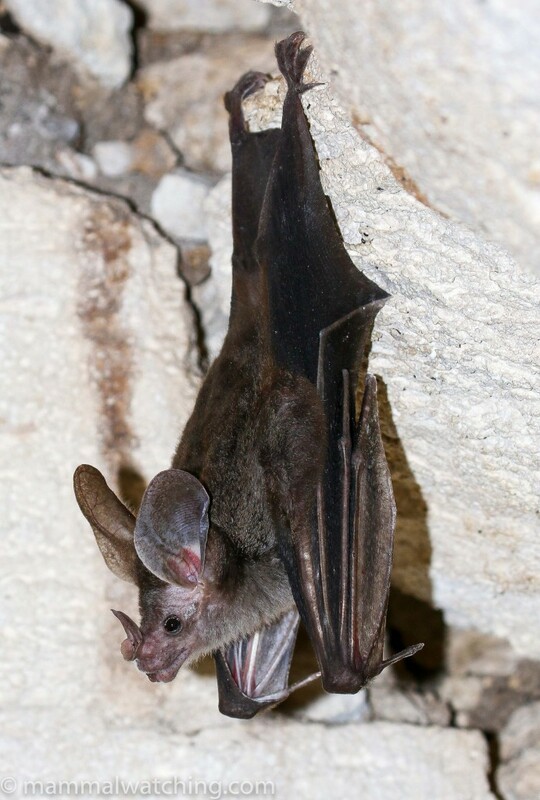 Yellow-throated bats roosted in Palenque in 2003, but I didn’t see them during a more recent visit, probably because so many temples are now closed to visitors. Jon, Did you bring your own Sherman traps? I could have done. But Juan – my guide – has many of his own. He’s a biologist. John as always you write very well and you always do interesting trips.